Through a Monday afternoon drizzle, more than 400 coastal residents joined by dozens of others from around the state, shuttled between dueling events showcasing the worries and possibilities surrounding oil and gas exploration off the North Carolina coast. If this seems all too familiar, well … it should. 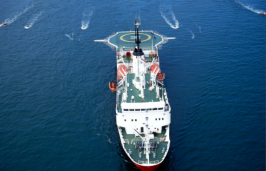 The Bureau of Ocean Energy Management is working under the Outer Continental Shelf Oil and Gas Leasing Program, otherwise known as the 2017-2022 National OCS Program, for offshore oil and gas development, which was approved in 2016. 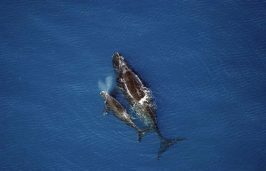 The Obama administration ultimately took Atlantic offshore waters off the table in that plan, citing potential conflicts with other ocean uses, including military and commercial interests, and opposition from many coastal communities. But President Trump signed an executive order in April 2017 and set forth to develop a new National OCS Program for 2019-2024 that, if approved, will supersede the 2017-2022 program. The 2019-2024 Draft Proposed Program, was released on Jan. 4. Comments on the DPP or its environmental impact statement should be submitted by March 9. Comments can be submitted online, mailed or hand delivered. 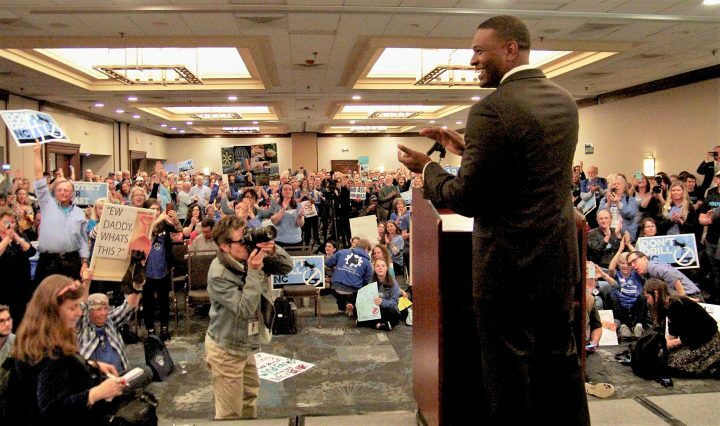 The two events, an open house hosted by the federal Bureau of Ocean Energy Management, or BOEM, and a boisterous rally hosted by a coalition of environmental groups, including the North Carolina Coastal Federation, were held on opposite sides of the same hotel with no indoor way to get from one to the other. It wasn’t the only disconnect evident between coastal communities opposed to reopening the Atlantic Coast to drilling and the Trump administration, which last year abruptly announced a revival of the idea, only a year after it was taken off the table by the Department of the Interior. 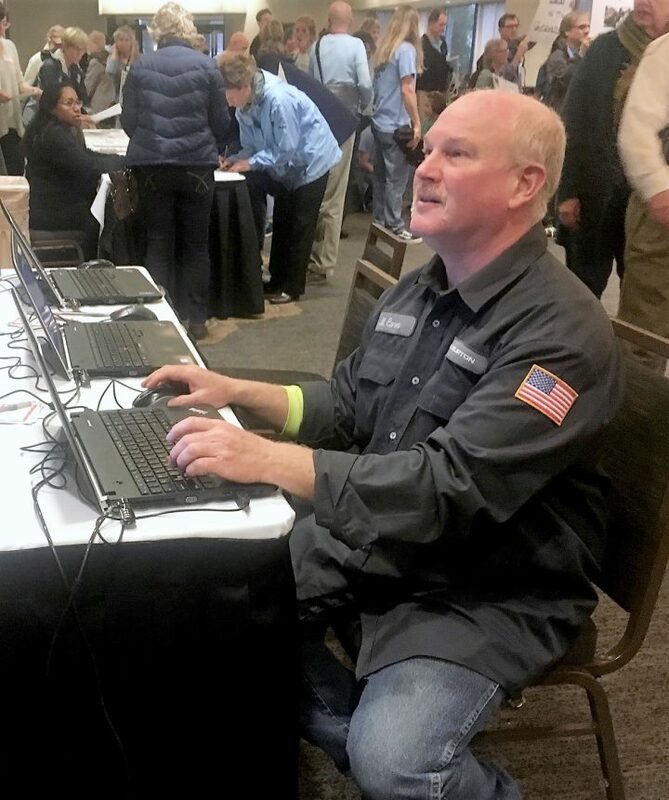 Working his way through BOEM’s information booths at the Hilton North Raleigh/Midtown, New Hanover County Commissioner Rob Zapple said he doesn’t get how the risks to the state’s booming tourist industry are worth the reward of even the most optimistic estimates of what might be found. 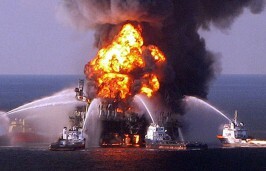 Zapple said the new push for offshore exploration adds to the stress of a region already dealing with the GenX issue. “We have had more than our fair share of environmental issues that have come up and continue to come up,” he said. The lack of a case for reopening the Atlantic leasing program was reiterated by speaker after speaker at the Don’t Drill NC rally a few ballrooms away. Department of Environmental Quality Secretary Michael Regan thanked the crowd for making the trip and said the mantra of Gov. Roy Cooper’s administration will remain “not off our coast.” He said the state would continue to push for hearings on the coast, something Regan and the governor pressed Secretary of the Interior Ryan Zinke on during a meeting at the executive mansion earlier this month. “Interior Secretary Zinke and BOEM didn’t come to you but you brought it to them,” Regan said. The secretary said the state would continue to push for an exemption like the one granted Florida and is prepared to take the Trump administration to court if necessary. 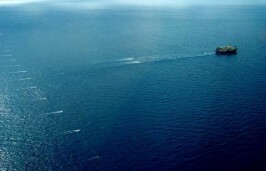 Dana Hirschman, senior deputy attorney general with the Department of Justice Environmental Division, said the department was reviewing previous offshore drilling battles. Hirschman said whatever happens will ultimately depend on what course the federal government takes. BOEM officials said the turnout in Raleigh was one of the largest crowds so far in the series of information sessions in coastal states. John Filostrat, a BOEM spokesman, said the possibility of a coastal-area information session is being considered, but that a decision would likely come in the fall, after the formal proposal. Despite large numbers of opponents, not everyone in attendance disagreed with the Trump administration’s move. Wearing his Halliburton jacket as he worked through a comment form at one of BOEM’s public terminals, Mark Cares, a former employee of the company who now works as a field engineer, said the country needs to increase its energy independence. It would add jobs and bring prices down, he said. But several speakers at the rally disagreed with the idea that the only path to energy independence involved offshore drilling. Rep. Deb Butler, D-New Hanover, one of a handful of elected officials at the rally, said there are other technologies and strategies that don’t involve putting the coast at risk. Responding Monday to the expected show of opposition at the BOEM meeting, the North Carolina Petroleum Council released a statement that offshore energy “could be a turning point” for rural areas in terms of jobs, infrastructure and better schools. “Interior’s offshore leasing proposal is a crucial development for North Carolina’s economic and energy future. Being able to access more energy resources off the coast of our state could create more reliable and affordable energy for North Carolina’s consumers and families,” said David McGowan, director of the council. 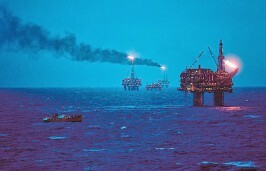 McGowan said the move is needed to update 30-year-old data on offshore petroleum reserves.